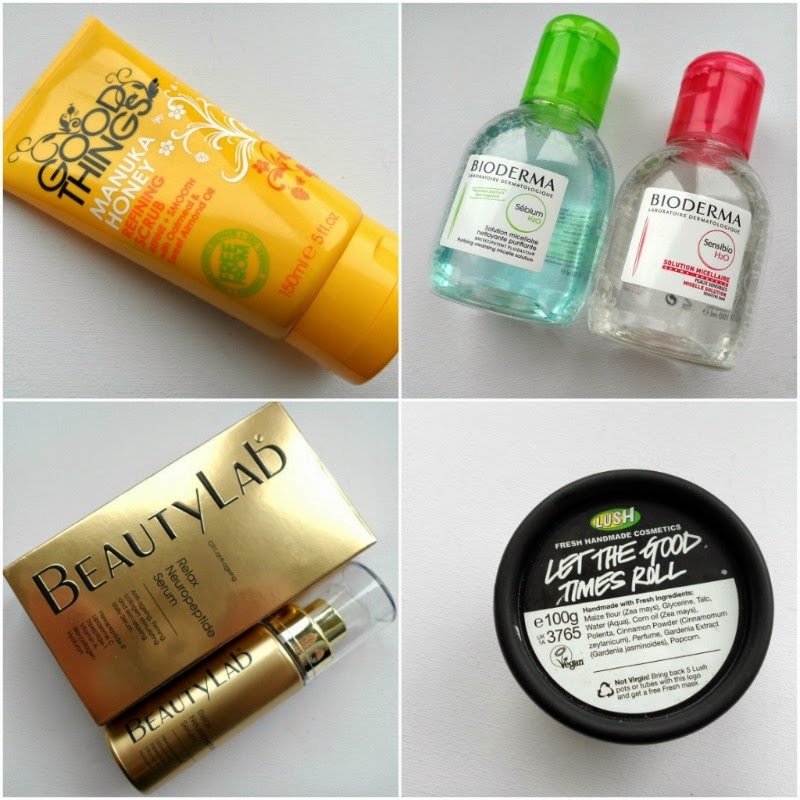 Sophsterlicious • UK Blog: - Fresh Face Essentials! Today I thought I would round up a few products that I have been using a lot in recent months and been really enjoying. The theme seems to be my face for these.. I’ve been really liking trying new products and finding things that really work for me and my routine. So first off is the Good Things Manuka Honey Refining Scrub. My goodness this product is absolutely divine! It’s like a luxurious exfoliation and every time I use it I feel like I am smearing oats and honey onto my face. It’s rich in texture and quite sticky in application, but it is so hydrating and the scrubby bits (oatmeal) gets rid of dead skin cells while injecting lovely moisture into your skin with the oils and honey that are in it. Sold? You should be! This next product is a pricey one but I’m not getting any younger and anything that can help with the aging process and do a good job is a winner for me. This serum from Beauty Lab is lovely, I apply it after cleansing and it soaks in so quickly so that I can moisturise. I focus this in areas such as my forehead, brow line and around the eyes (not too close). Basically, where you would have botox injections. I don’t know if this is botox in a bottle exactly (I've never had the real this), but I have seen and felt differences, my skin feels great and looks more plump when I use this daily. Bioderma! Everyone and their Mother has used this and I’m probably way late to the party! You know what though? I really like it! At first I didn’t see what the big deal was – I had heard and read so many positive reviews on this and I wasn’t sure why. I’ve come to realise its great though… I use it for my skin, to cleanse it. It removes makeup and leaves my face super fresh and clean feeling. It also works on eye makeup and I sometimes use it for that, but usually on days where I’m not wearing much (rarely). It felt a bit too much like hard work when I wear heavy makeup and an oil based remover does the job quicker. Last but certainly not least, this little pot of joy from Lush! First off, it smells absolutely flippin’ divine! Like popcorn and all sorts of sweet yumminess. This is for face and body, I am yet to try it on my body though. I do love it for my face though, it has gentle exfoliant in it and it reveals fresh feeling skin that is softer than soft with a delicious scent that hangs around. You just take a small amount in your palm with a few drops of water to form a thick paste. I would tell everyone to try this. It is truly lush! St. Ives Fresh Skin Apricot Scrub.